If you’re anywhere near Warrenton, Virginia, please come join us Saturday, March 23 for our eighth annual Fauquier Seed Swap. There will be seeds (lots!). There will be gardeners. There will even be freebies from some of our favorite seed companies! Click here to see our Facebook invitation and RSVP for the event. Then, invite your friends to join us too! 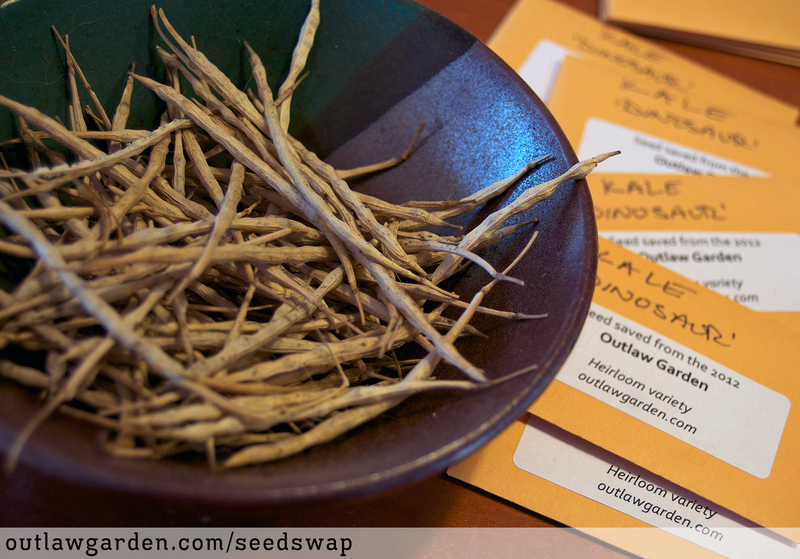 Click here to read a blog post about our 2013 seed swap. 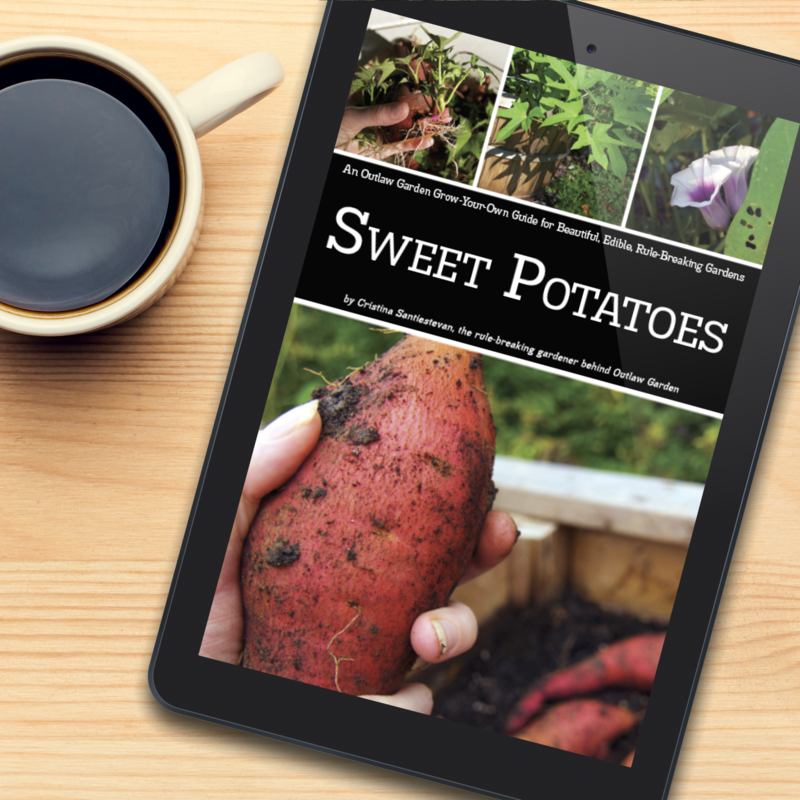 Click here to read an FAQ about the seed swap. A seed swap is exactly what it sounds like: a chance to swap your extra flower, vegetable or herb seeds with other gardeners. Because maybe you have too many tomato seeds, and not enough lettuce seeds. Because you want to try a new variety. Because you have extra, and want to share. Because it will be fun. Anyone who has seeds or wants seeds. Expert gardeners. Beginner gardeners. Aspiring gardeners. Seed-savers. You. Store-bought, mail-ordered or home-saved; all seeds are welcome. If you are bringing seeds you saved yourself, please be sure they are from non-hybrid plants, and were saved properly. Please repackage large quantities of seeds into smaller envelopes or plastic baggies. Packets of 10-30 seeds are plenty for most plants and gardens. Please label all seed packets with the variety name, year and source. Thank you! If you don’t have any seeds to swap, we still hope you will come. 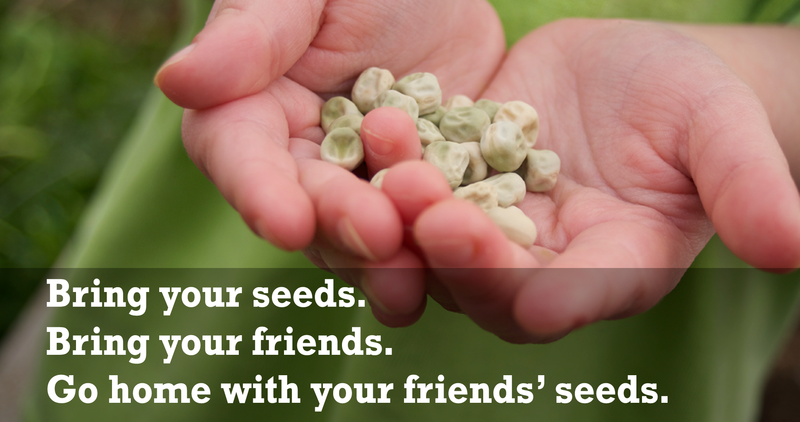 There should be plenty of seed to share with everyone. Please post your questions on our Facebook invitation. Not on Facebook? Then, just add a comment here. Kate forwarded us a flyer regarding the 2nd Annual Warrenton Community Seed Swap. Neither Don nor I have Facebook pages so I’d like to RSVP here if that’s OK. See you on Sunday, February 24 from 1 – 3 pm. Looking forward to seeing you there! If you have any local gardening friends, please bring them along too. The more the merrier! I just found your site totally by accident! I’m also a passionate organic gardener/blogger from western PW county. My newly created garden club (Dirtworks: the anti-club) is having a seed swap on Sat, Feb 23 so I think I’ll stop by yours on Sunday! Excitement!